Are You Burning the Wrong Grade of Fuel in Your Boat Motor? All the rules have changed. It used to be considered rock solid truth that if your engine was built to burn 87 octane gasoline, you were foolishly pouring money down the drain if you filled up with anything higher. But nowadays it may cost you big money to run on anything less than 89 octane gasoline. The problem is the chemistry of gasoline has changed over the last couple of years. And those changes are not compatible with some of today's marine and tow vehicle engines. Why this happened is a simple matter of bottom line oriented economics. Petroleum engineers were tasked with squeezing more gallons of unleaded out of a barrel of crude oil. They succeeded in making the bean counters ecstatic, but created a Frankenstein fuel in the process. 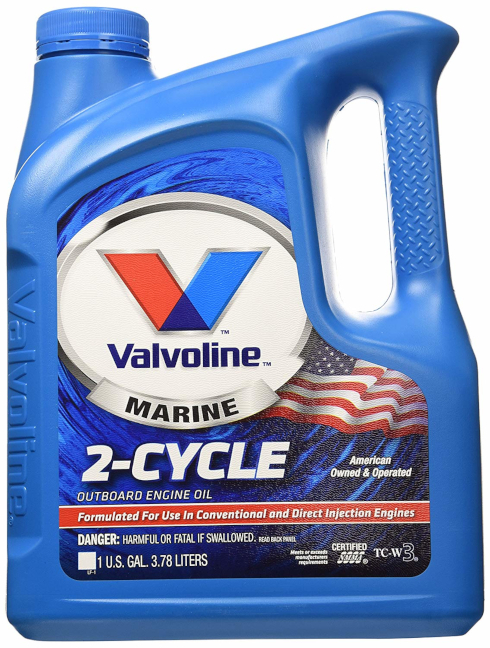 In simple terms, 87 octane gasoline is a dirty, filthy, liquid not fit to fuel a lawn mower or weed whacker, let alone a marine engine. And whatever damage it will ultimately wreak depends on whether you're running an inboard, sterndrive or an outboard. On tow cars, inboards and sterndrives the junk gasoline plugs up fuel injectors and forms deposits on the underside of the intake valves. Telltale symptoms show up in the form of poor idling and stumbling acceleration. At the top end there's also a loss of HP which you may or may not even notice. Essentially what's happened is nothing more serious than a build-up on the intake valve that's restricted the air/fuel flow. Performance is hampered somewhat, but other than that malady, the engine is not in imminent danger of breakdown. However, the fate of an outboard motors burning 87 octane gasoline is nothing less than disastrous. When an outboard burns 87 octane gasoline, carbon forms on the sides of the piston. Engineers refer to this process as coking. As the carbon builds up on the pistons, the coking insulates, preventing combustion heat from escaping from the pistons, through the cylinder walls and on into the coolant flow. The more coking builds up, the hotter and hotter the piston's operating temperature climbs. The excessive heat expands the aluminum until the pistons try to grow larger than the cylinder bore. Somewhere along the line the motor self-destructs. Because four cycle engines run about two-hundred degrees cooler than outboard motors, they don't seem to be affected by piston coking. So how long does it take for coking to build-up to critical proportions? Generally, given two outboard motors, both built to burn 87 octane gasoline and all other factors being equal, the motor burning 91 octane gasoline will last three times longer than its counterpart. What about dosing cheap fuel with aftermarket additives in order to bring it up to speed? Keep in mind there are two basic types of additives, detergents and dispersants. Detergents are intended to take care of carburetor and upper intake track of the engine. Unfortunately they cause more coking and deposits on intake valves and pistons than if the additive was left out altogether. This is true with both outboards and four cycle engines. However, the dispersant class of additives cleans the upper intake and also keeps valves and pistons squeaky clean. Even so, you're better off buying 89 octane, which is made from a better stock of gasoline, and which already has a disperant included in its additive package. The most important point to keep in mind is that what we're talking about is totally unrelated to octane ratings. We're not recommending buying higher octane gasoline to defeat knock and ping, but again, for its inherent quality and its additive package. Obviously the best plan of action would be to avoid 87 octane fuel entirely. That sounds simple enough. 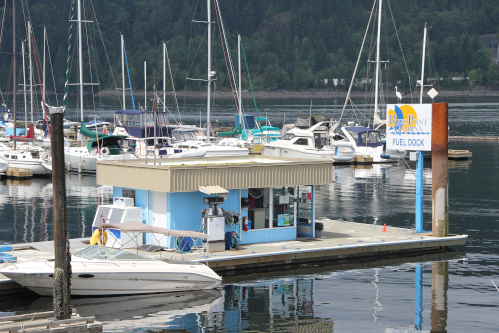 But what can a boater do when only 87 octane is available at his marina? Treat the gasoline with additives specifically blended to reduce carbon deposits. For example, Evinrude offers Carbon Guard for this exact purpose. Other outboard makers offer their own formulations. Salvation is also available from a slippery source. As we said earlier, two stroke oil has been upgraded to deal with the junk fuel problem. The new specification has been dubbed TC-W3. Genesis of the new two stroke oil was a fuels and lubricants task force comprised of representatives from all the major marine engine companies and oil companies. Once impaneled, the task force sat down and established standards for the TC-W3 formulation. This new formulation includes an additive package that minimizes combustion chamber deposits, which in turn reduces the possibility of combustion chamber deposits and piston rings sticking. The new oil also reduces spark plug fouling which helps powerheads last longer between tune-ups. Finally, we should note that the old TC-W2 lube is still widely available. Also, not all engines require the new TC-W3. 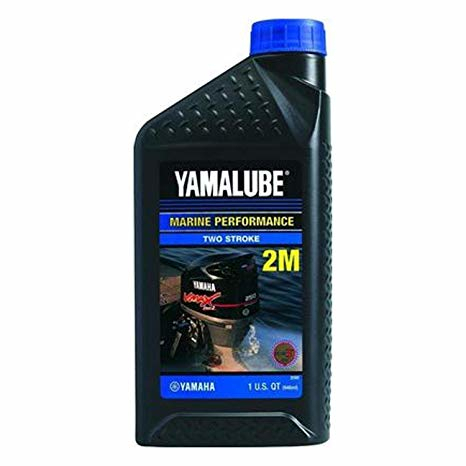 When in doubt as to which formula is best suited for your outboard, contact the engine manufacturer for recommendations.